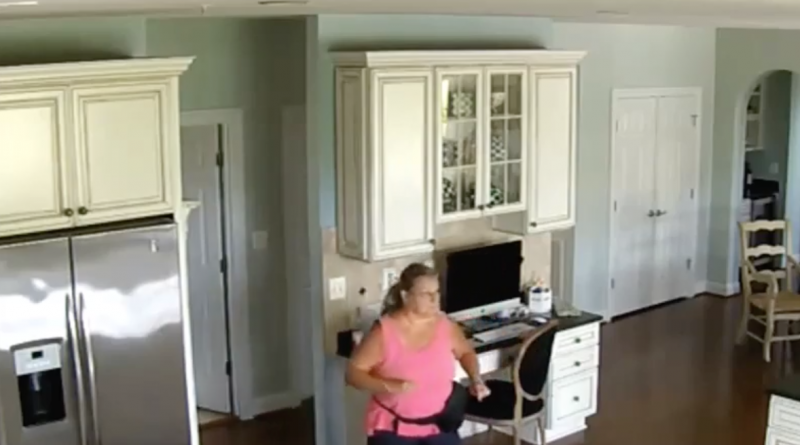 Loudoun County Sheriff’s Office detectives have released a video of the suspect involved in an Aug. 10 burglary at an Ashburn home. Shortly before 10:15 Wednesday morning, a woman entered the Greenlook Lane home through the garage door. She looked through medicine cabinets upstairs and in the kitchen where she removed prescription medication. Surveillance video shows her looking through cabinets. NOTE: The Sheriff’s Office has since deleted this video from public view. She is described as being in her mid-40s, approximately 5-feet, 6-inches tall with dirty blonde hair. She was wearing a pink tank top, black carpi pants, black athletic shoes with a white logo and teal green soles. She was also wearing a black fanny pack.